FOR LIMOUSIN FRENCH OAK BARRELS FOR SPIRITS. 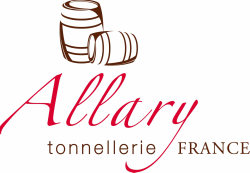 The Allary cooperage is located in the heart of the Cognac region in France, Mr. Roger Allary and his son Jacky Allary have been making Cognac barrels and tanks since 1953. We offer 2 & 3 year seasoned loose grain Limousin Oak in our Allary House (Heavy) Toast. Our most common sizes include: 225L, 300L, 350L, 400L, 500L. Our customers include Remy Martin, Prunier, Camus, Courvoisier and Chateau Montifaud. In the USA, Greenbar Distillery in Los Angeles & Osocalis in Santa Cruz.